From I-95 take I-595 East for 3 miles to US-1 North. 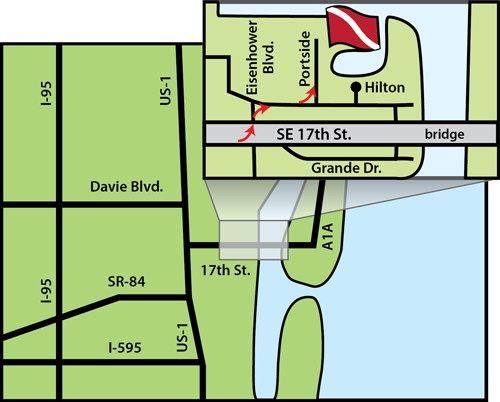 Proceed on US-1 North for 2 miles to SE 17St. Turn right at SE 17th St for 1 mile to Eisenhower Blvd. Turn left at Eisenhower Blvd. Immediately turn right onto Grande Drive. Turn left on Portside Dr. Proceed to end. Arrive at our dock.